Have you ever wondered how someone who seems so ordinary has the ability to inspire other people? And how come some people never seem to get tired of helping others while working on their personal lives? Their energy comes from within. The more that they help and inspire others, the more they stand out. 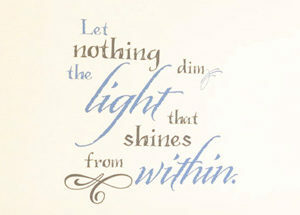 Their inner light shines from within and never fades. You also have that light within you. Never let your inner light to be blinded by the world that is full of stress and anxiety. Become the unlimited source of energy and enthusiasm in your family and friends. You exist for a purpose and that is to bring light to those who are in the pit of darkness. 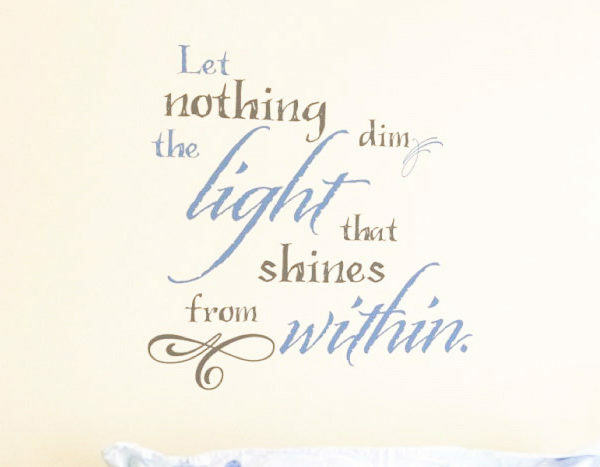 Be more empowered with this wall quote: “Let nothing dim the light that shines from within.” Post this in your bedroom wall as a perfect view before you sleep and at the start of your day. Never let anyone drain your energy and bring you down. Keep the spirit alive. Make your space come alive and shine as well. 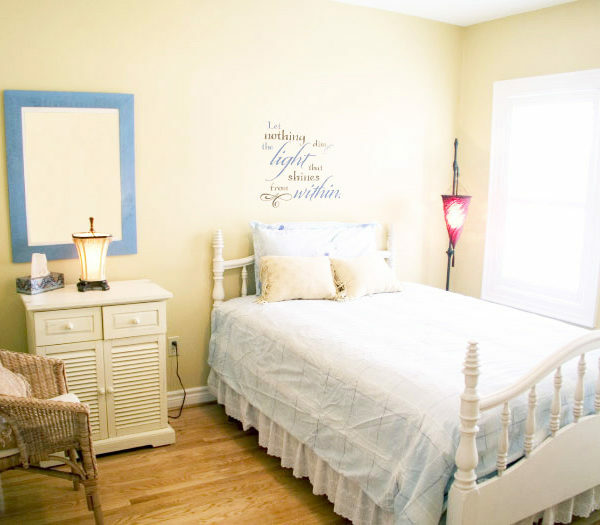 If you are tired of plain colored walls, make decals an essential part of your wall design to create a focal point. 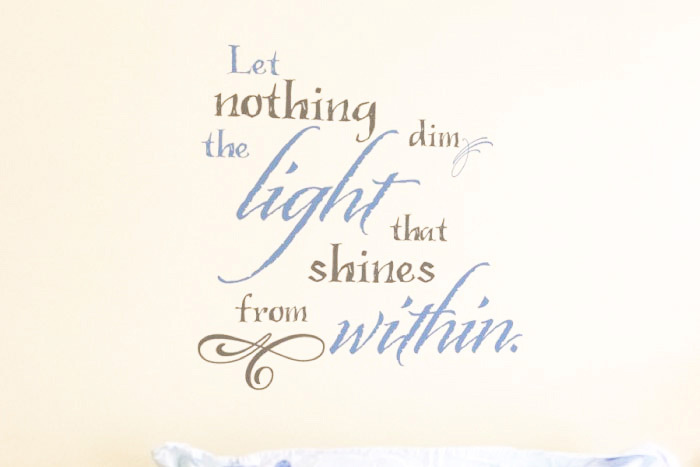 Contemporary walls are now decorated with wall decals because they beautify and inspire at the same time. 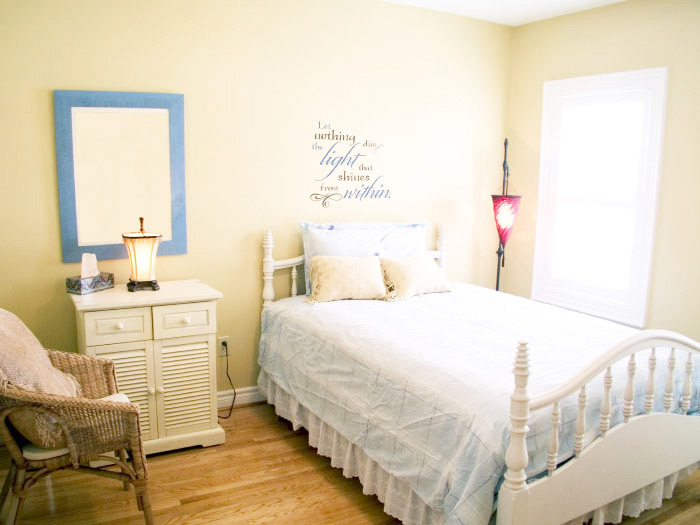 DecorativeLettering is your one stop shop for inspiring wall decors that will truly empower you. They are easy to apply, non – messy and long – lasting compared to traditional wall painting. And of course, we value what you want so we have created a live previewer for your customized wall decal needs.